The interest in the Great War generated by the Centennial commemorations has led to an explosion of local events and ongoing displays of art and artifacts from the war. We simply lack the space here to includ them all. Fortunately, however, the staff of the Centennial Commission has taken on the job of providing a list of all these presentations they hear about. We will make their current list available here for downloading and revise the document as it becomes available to us. Click HERE to download the current list. Fokker's company was actually controlled by the German military in the war, but he remained in charge. His works turned out three of the most remarkable airplanes of the war: the E.1 "Eindekker," the Dr.1 Triplane, and the D.VII, recognized as the outstanding fighter plane of the Great War. 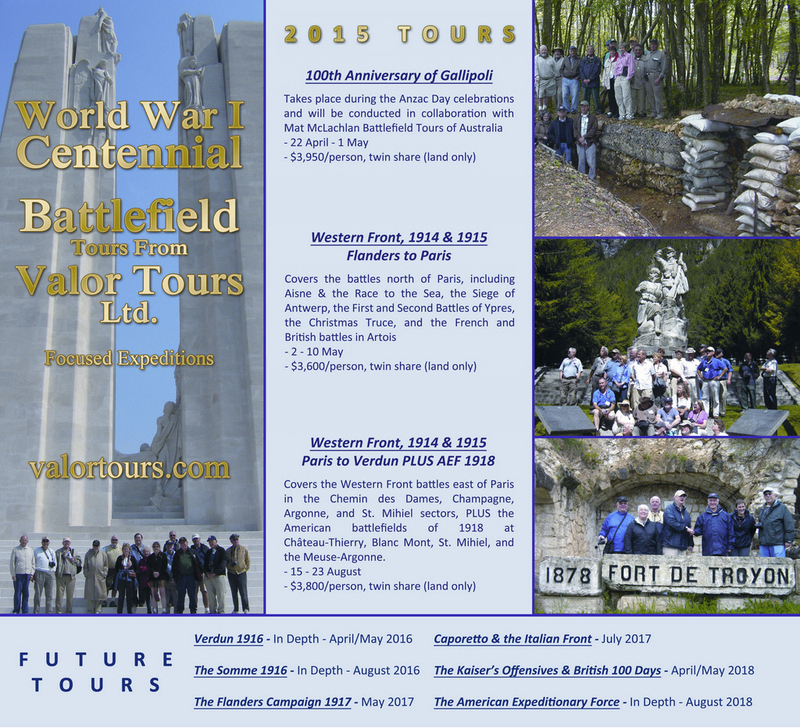 One of the themes we will be pursuing in all of the Centennial publications we produce at Worldwar1.com during 2015 is that 100 years ago, what began as a European War, by 1915 was becoming a world war. The global actions of March 1915 demonstrate this well. 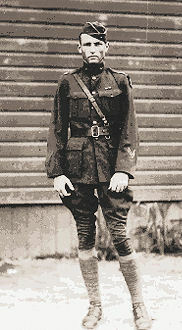 In the Canadian Expeditionary Force (CEF) deployed to Europe one out of 22 individuals were born in the United States. Of 344,596 who served in the CEF there were 15,221 Americans, including 63 nursing sisters. Of 61,112 fatalities, 2,138 were of U.S. birth. Five Victoria Crosses were awarded to Americans serving with the CEF. 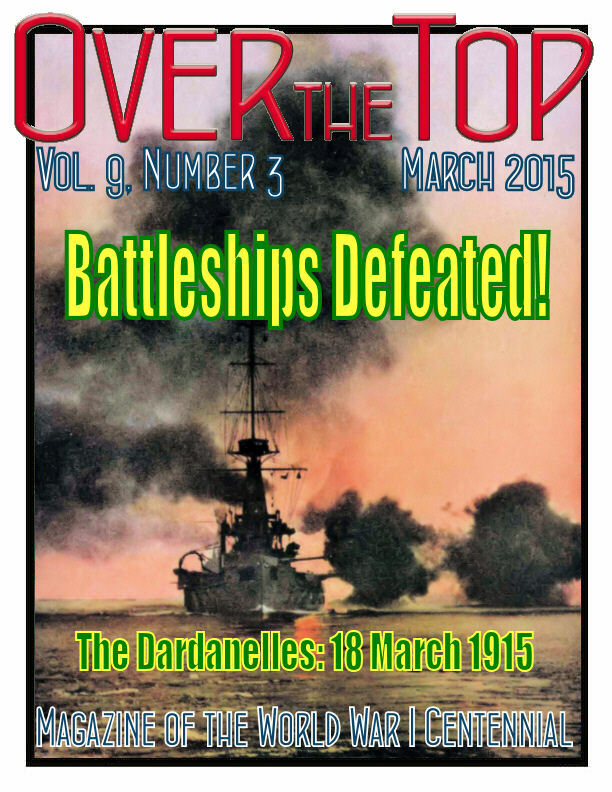 In the various writing and publications I'll be presenting this year on the war 100 years ago, the Dardanelles and Gallipoli Campaigns will figure prominently. Since I've been a critic of both the naval and land expeditions, this will necessitate some unflattering commentary about one of my heroes, the principal champion of those failed endeavors, Winston Churchill. I would like to balance that somewhat, however, by presenting some lines from one of Churchill's favorite poems. I think the selection reveals much about the man and his character. Thankfully, he was masterful at passing on similar encouragement when the times called for it. I pray that our generation's Churchill appears soon. If hopes were dupes, fears may be liars. . . 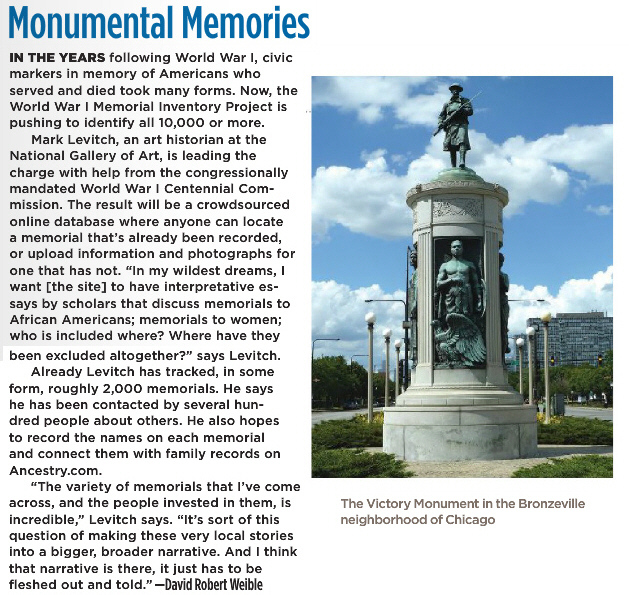 Founder and President Mark Levitch has made great strides since 2012 in building his project to mark the war's centennial by assembling an online inventory of World War I memorials and monuments in the United States. He has also proven adept at gaining media attention for the effort. Here's a recent article on the project. 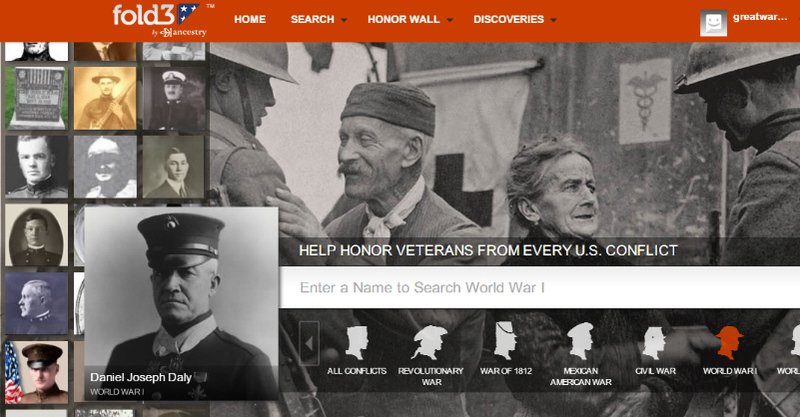 Fold3, the military records subsidiary of Ancestry.com has added a valuable service for honoring American veterans of all conflicts. While full access to all military records on Fold3 requires a paid subscription, they have made a great opportunity for of America's families at no charge. They have created the ability for you to post the name, photos, service information, and documents of your veteran online in a massive website. This is one way that you can insure that their service will never be forgotten. Here we will show what you can do, using the records of Marine double Medal of Honor Recipient Dan Daly's service as an example. Here is the World War I section of the Honor Wall itself. 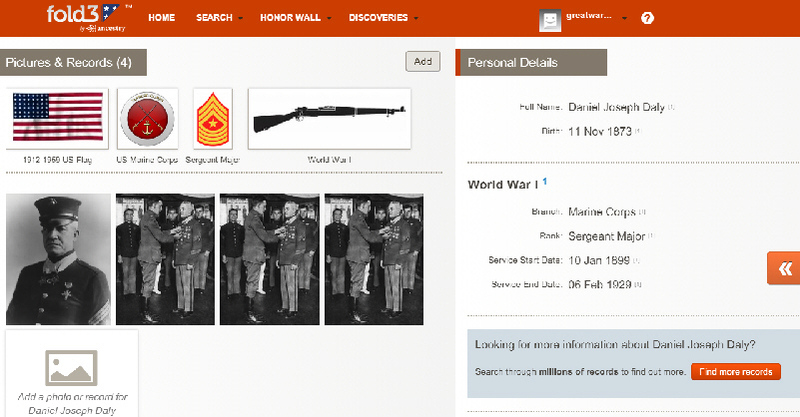 The snapshots on the left is a carousel of all the veterans that is revolving when you visit the page. http://www.fold3.com/wall/ Note that you can also search the Honor Wall to see who is listed. Memorial Pages are a great way to commemorate the heroes in your life. and are easy to create and update. Although the benefits of Fold3 are many, you will be regularly asked to pay the fee for the annual full-subscription. This is fair enough, however, since it's the paying subscribers that cover the costs of this great free service. Begin your visit to Fold3 by opening the home page at http://www.fold3.com/ and clicking on "Join Now" to register. 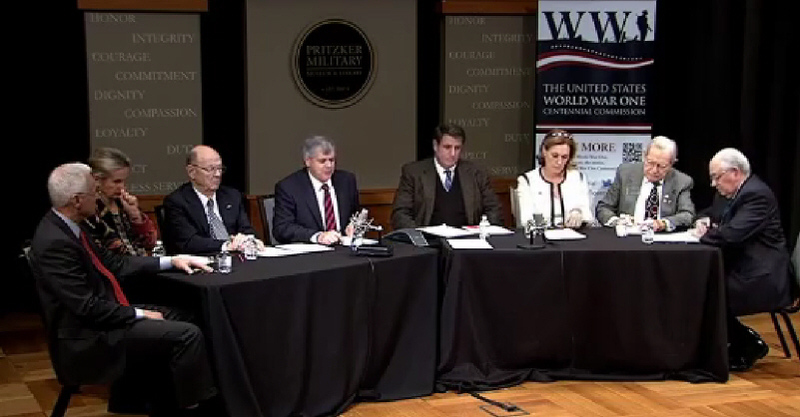 The National WWI Centennial Commission will be holding an important meeting in Washington, DC, on 12 March 2015. At the meeting the commissioners will review the recommendations to be made to the President on how best to commemorate the Nation's effort and sacrifices during the war. An update on the National World War I Memorial is on the calendar as well. The meeting is open to the public and will be available telephonically if you wish to listen in. There is also the opportunity for citizens to provide comments at the meeting or submit written remarks for consideration.  However, written submissions and requests to speak before the commission must be received by 5:00 pm EST, 6 March 2015. Last month we began the story, told by author Terrence Finnegan of how a major American battlefield of the war was being set in place exactly 100 years ago. 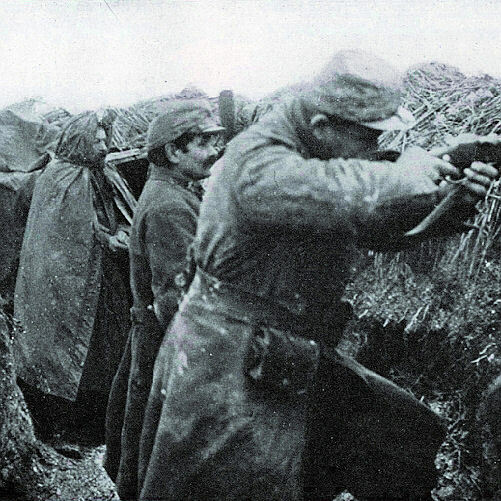 In this issue with another selection from Colonel Finnegan's new work, A Delicate Affair on the Western Front: America Learns How to Fight a Modern War in The Woëvre Trenches, we pick up the story of Général Dubail's offensive the initial attack of 30 March. Other offensive thrusts were made in early April. But things bogged down. Surprise was essential but the most difficult element to bring about. Orders were issued for absolute secrecy but, in spite of this, it was disconcerting to Maréchal Joffre how rapidly news spread. He discovered to his chagrin that the date and location of the attack was becoming common knowledge in Paris. With the advantage of surprise lost, the Germans responded by beefing up their forces. [Also] Unfortunately for the French, the April weather turned to rain. At first sight, it seemed to Maréchal Joffre that the weather supported the French thanks to the lack of effective German aerial reconnaissance. The Woëvre became a quagmire and the trenches within flooded. 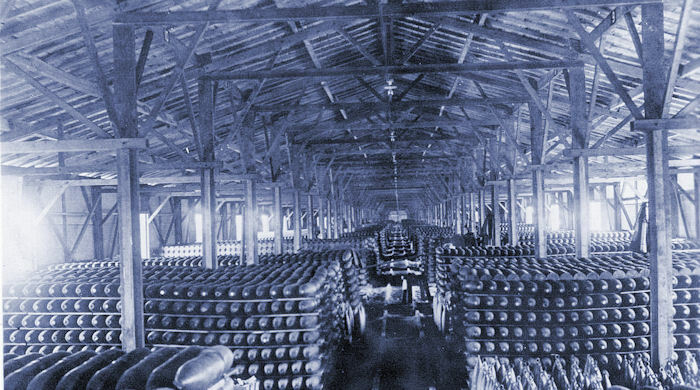 The artillery found it difficult to take up position, observation of fire was almost impossible, and the shells buried themselves in the spongy ground. A feeling of uneasiness spread to both troops and staffs. Joffre thought a postponement prudent but French soldiers could not be kept for long in the misery that came with flooded trenches. General Dubail gave the order for the attack to commence. French forces bogged down and German artillery annihilated those stuck in the clay. For four days, half of the existing stock of French heavy guns attempted to cut the wire obstacles in front of the French infantry. In an attempt to salvage the failing offensive, General Dubail ordered his armée to change its tactics of intense assault to "methodical progression." The new directive did not include the old advantage of surprise. The result of the campaign was disastrous. From 26 March to 30 April 1915, the French lost 65,200 officers and men. In comparison, German losses suffered in the same period throughout the entire Western Front were slightly over 80,000 officers and men. Dubail's failed offensive was the last major operation in the south Woëvre front. 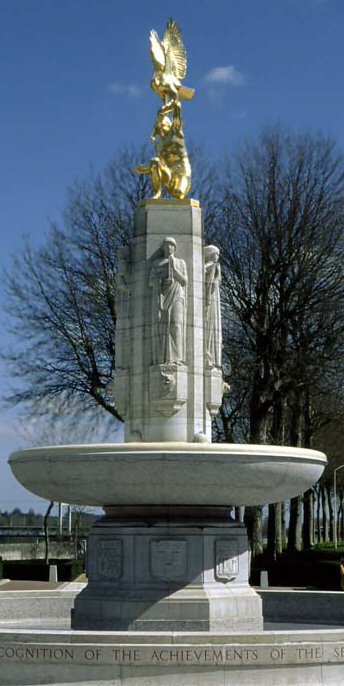 Fighting continued through June 1915, but the St. Mihiel hernia remained. 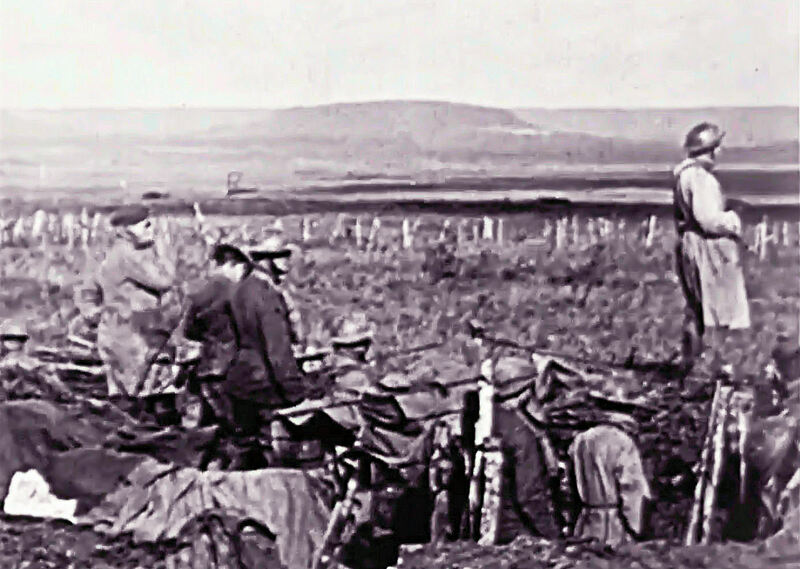 Henceforth, names like Seicheprey and Bois-Brulé indicated minor skirmishes until the Americans occupied the south Woëvre front in February 1918. Is the Centenary/Centennial Commemoration Getting the Story Right So Far? I was checking out the stalls of an indoor bazaar recently when I saw something that instantly seemed familiar. It was a drawing by John W. Thomason, Jr. The name may not be familiar but Colonel Thomason was one of the great sketch artists of the early twentieth century. He also authored what many consider to be the authoritative account of American involvement in the First World War. That was why the image looked so familiar, because I had seen his work decades ago when I first read Fix Bayonets! Naturally I bought the small, framed image. It now hangs in my office. 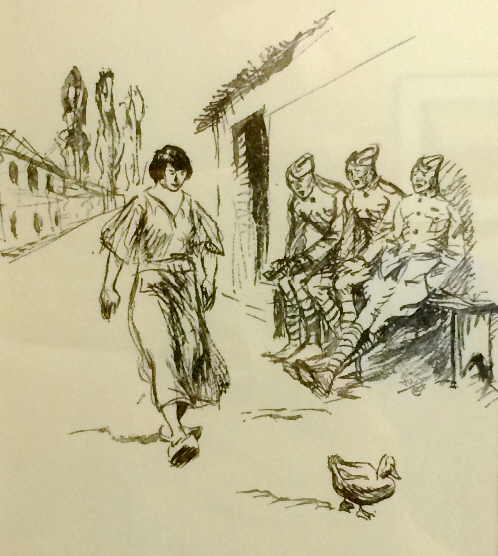 The drawing, which is displayed above, shows a young French woman walking past a trio of weary Marines. The wear and tear on her shabby clothes are testimony to how desperate things had become in Europe by 1918. The duck is something of a Thomason trademark. He included them frequently in his work. Growing up in Texas, he was quite the hunter and outdoorsmen. Thomason was born in Huntsville in 1893. John W. Thomason attended the Art Students League in 1914 and was a struggling artist for a few years. 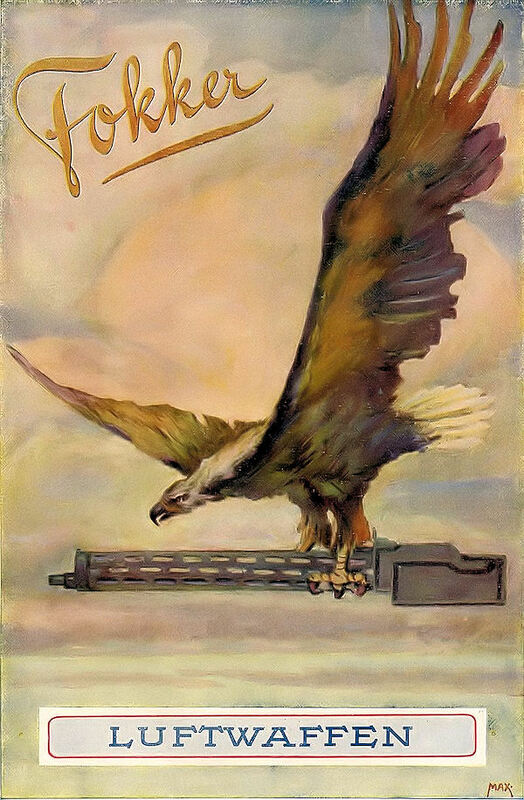 He found his calling as a Marine/artist when the United States declared war on Germany in 1917. He began as a lieutenant in the 5th Marine Regiment, 2nd Division AEF, and fought at Château-Thierry, Belleau Wood, Soissons, St. Mihiel, and Blanc Mont Ridge. Thomason stayed in uniform after the Armistice and was active in both military and artistic circles for decades. His drawings and stories were increasingly in demand in the Saturday Evening Post and other literary periodicals of the day. Charles Scribner's Sons published Fix Bayonets! 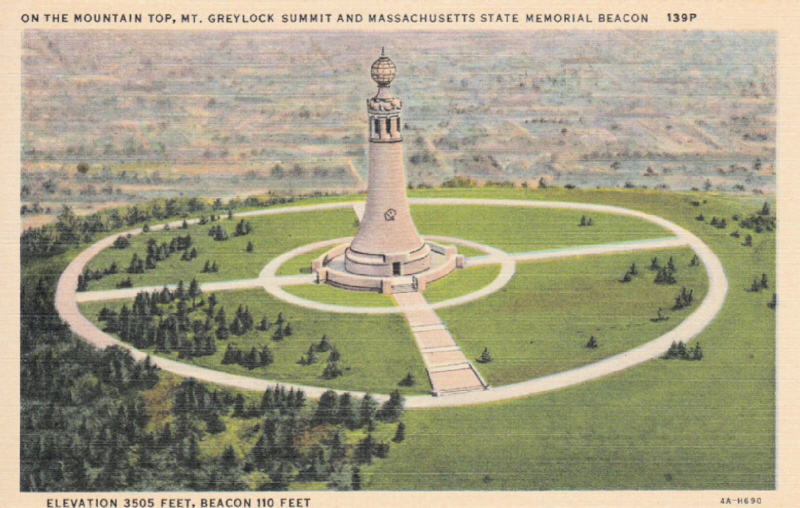 in 1926. That same year the firm released Ernest Hemingway's The Sun Also Rises. Hemingway admired Thomason greatly and considered him an outstanding military officer. The two men eventually collaborated on a massive anthology called Men at War: The Best War Stories of All Time. This 1,000-page collection, published in autumn 1942 as American troops were about to land in North Africa, explored the meaning and ordeal of combat from antiquity to the present. Thomason did not live to see the end of the Second World War. Years of hard living, including struggles with alcohol, eventually caught up with him. John W. Thomason Jr. died in 1944. He was 51. During the early part of the 20th century, the United States gained critical experience for the role it would be called upon to play when it entered the Great War. Most sources emphasize the small size of the nation's military in 1917 and the limited experience it had in modern warfare and overlook this. Reflect, however, on what America would be asked to do in 1917 when the Allies were so hard-pressed. Their greatest need was for men to compensate for the tremendous losses they had suffered. The United States committed early to send a 4-million-man Army to Europe, which — had the war lasted that long — would have been in place by mid-1919. (Fortunately, the initial draft of 2 million Doughboys proved sufficient to tilt the balance.) 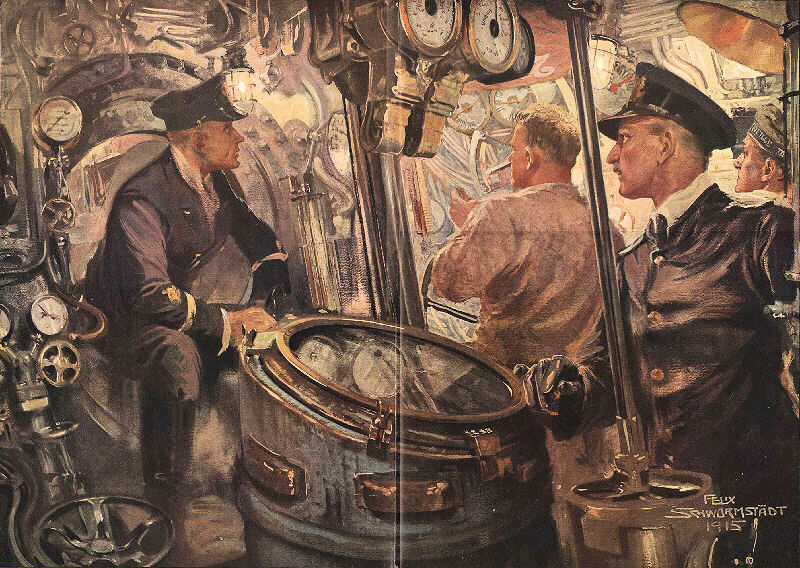 Nevertheless, the United States military was required to expand almost overnight and ship millions of men across an ocean and engage in long-term operations for whatever duration was needed to gain victory. How this effort — unprecedented in the history of warfare — came about successfully remains one of the under reported stories of the First World War. While the U.S. military of 1917 lacked men, equipment, and weapons in significant numbers, it had been building critical expertise in projecting force to distant shores since the start of the Spanish-American War of 1898. In the ensuing years, the Army and Marine Corps sent troops to Cuba, the Philippines, China, Vera Cruz, Panama, China, and throughout the Caribbean. The Navy supported all these efforts and had demonstrated its ability to sail anywhere on the planet with the world cruise of the 16 battleships of the Great White Fleet. Arguably, when America entered the war, it already had more expertise at projecting power very long distances than any other military force in history. That problem had almost befuddled the American military in getting troops to Cuba in 1898, but the main problems of "how to do it" had been solved by 1917. The transport issues for the AEF were reduced to finding enough ships to transport the new forces to France. The Allies, out of self-interest helped solve this. But after getting the huge force to France it needed the "sinews of war" — food, weapons, ammunition, warehouses, supply dumps, trucks, trains and tracks, animals, medical care for the troops, and whatever else was needed to fight a war 3,000 miles away from home. The answer to this challenge —now known as "sustainment" — again was in the expertise that the American military had gained in the early part of the century. Part of it was gained through the aforementioned overseas deployments, but a surprisingly beneficial experience was the building of the Panama Canal. 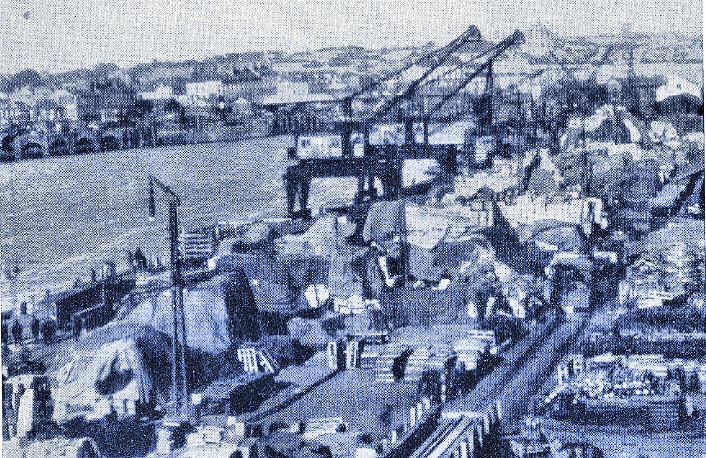 While not strictly a military project, the canal drew heavily on active-duty military figures like engineer George Goethals, Dr. William Gorgas, Robert Wood, who would later head Sears Roebuck, and hundreds of quartermasters, purchasing officers, railroad specialists, hospital administrators who were seconded to support the construction of the canal. After the canal was finished, these were the men destined to organize the sustainment program for the AEF. Their creation came to be known as the Services of Supply. While it never operated at full-efficiency and was a constant headache for General Pershing, what the Services of Supply created in slightly over a year was simply magnificent and a stunning example of American energy and determination. Here are some images and statistics to show what was built and operated by the 650,000 men of the Services of Supply to support the fighting arms of the AEF.